The Communist Party of India Marxist CPI(M) said the Goods and Services Tax (GST) will result in a number of problems for the small entrepreneurs, traders and shopkeepers. 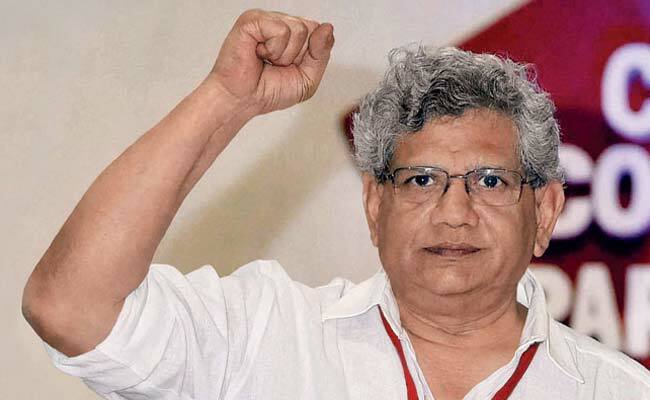 New Delhi: The Communist Party of India Marxist CPI(M) on Friday urged the central government to address several unresolved issues related to the Goods and Services Tax (GST), which it said is being "hastily implemented". "The Narendra Modi government has put in place the Goods and Services Tax in great haste and this is causing a number of problems for the small entrepreneurs, traders and shopkeepers. Enough time should be given for implementation of the new tax structure," the CPI(M) said in a statement. The party expressed apprehension of inflation and an all-round increase in the prices of consumer goods in spite of the GST rates for a number of commodities being lower than the combined existing rate of the central and state taxes. "It is estimated that there will be a revenue loss of at least one lakh crore rupees for the Centre and state governments. This will be a bonanza for the corporates, who are not willing to pass on the benefit of the reduced rates to the consumers. "The Central government is unwilling to effectively use the anti-profiteering clause in the GST law. "This clause was meant to ensure that the reduction in the rate of tax arising due to introduction of GST shall be passed on to the consumers by the commensurate reduction in prices. "The central government has not yet framed the rules under the anti-profiteering clause," the CPI(M) said. It said that due to lack of clarity in the details of the tax structure, "efforts will be made to increase prices" and asked the central government to publish a detailed list of commodity prices under the existing combined tax and under the GST and "intervene to see that the maximum retail price (MRP) are reduced".